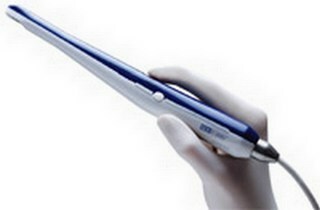 Our office uses an intra-oral camera as a patient education tool. The camera takes a picture of a tooth anywhere in the mouth and places the picture on a computer monitor large enough for the patient to see. This helps in a diagnosis both the patient and the dentist can agree upon. The camera can also take before and after pictures of teeth in order to show the patient the progress of the restoration and cosmetic changes.